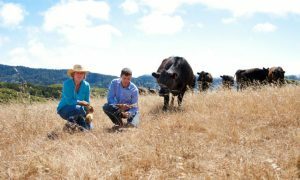 Carbon farming techniques, including compost amending, are helping California ranchers turn their pastures into carbon sinks. Photo courtesy Michael Woolsey/Marin Agricultural Land Trust. 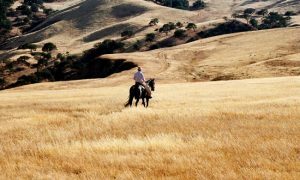 David Lewis, director of the University of California Cooperative Extension, says the techniques Calhoun uses, as well as stream restoration, are some of the most common. 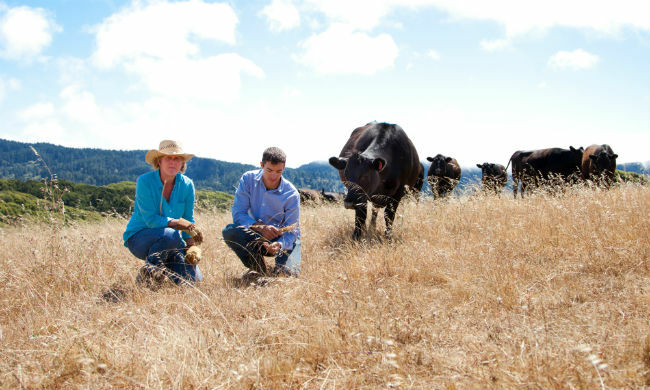 Lewis has worked with the Marin Carbon Project, a collaboration of researchers, ranchers, and policy makers, to study and implement carbon farming in Marin County, California. The research has been promising: They found that one application of compost doubled the production of grass and increased carbon sequestration by up to 70 percent. Similarly, stream and river ecosystems, which harbor lots of dense, woody vegetation, can sequester up to one ton of carbon, or as much as a car emits in a year, in just a few feet along their beds.